SalesVu POS system and Employee management are the key features for Camp Bow Wow! Are you traveling but can’t take your dogs with you? You don’t have anyone to babysit them? Are you worry about their safety, if they will be bored or even eat while your away? 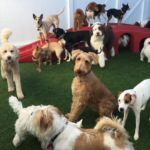 Camp Bow Wow in Katy, Texas, is the perfect solution! 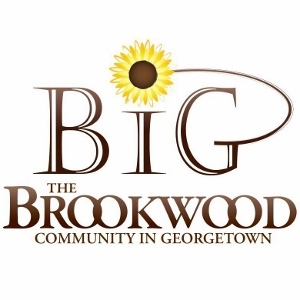 They are a premiere overnight boarding and day care facility for dogs. 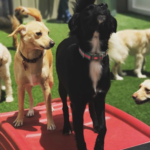 They offer services as indoor and outdoor play yards, medication administration, individual attention, grooming and they guarantee your best friend will have a great time socializing with other dogs and people, a great way to make friends! Learn more about how Jose Murillo is using SalesVu to manage this amazing business. Jose started his journey with SalesVu in 2016, he was looking for a software that was easy to use, great interface and the fact that pricing is very flexible and you can build your own bundle according to your type of business was the main factor for him, because he knows exactly what he’s paying for. This POS System was a recommendation from his sales consultant and ever since they have been really pleased with the software. ‘There are two main things as why SalesVu is the perfect fit for us and how it has helped us grow. The first one is that I can keep track of the money that’s coming into the business with just touching a couple of buttons, the reports are very easy to get and you can obtain very detailed information. Second thing is that it also keeps track of the employees’ hours, they clock in/out from the iPad with their pin number and I can get the report on hours and use it for payroll, we find it very convenient that everything is integrated’ – Jose Murillo. 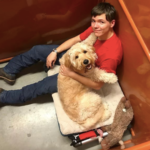 The employee scheduling feature is another favorite from Camp Bow Wow’s staff members. Jose is able to create shifts easily on the web portal, he can select individuals or groups of employees and have a recurrence pattern depending on which days they work. All of his employees receive the scheduler notifications by email and text, meaning they always have their availability on their phones. Employees are also able to notify back if they won’t be able to take the shift. 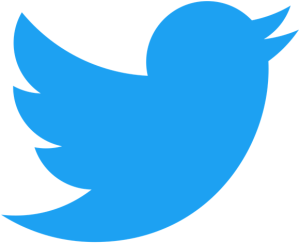 Is a great tool to use and they are definitely taking advantage of it. Jose was looking for a reliable Free POS system that can manage human resources and point of sale and he found it with SalesVu. 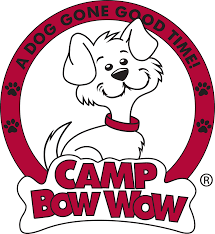 If you ever need a place to leave your dog for a day or a weekend, you should definitely check out Camp Bow Wow. 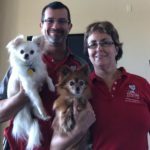 They are the winners of Living Magazine’s Best Pet Boarding Facility in Katy, TX for 2016 and 2017! You’ll know your dog will be completely safe and having a good time while you’re away. 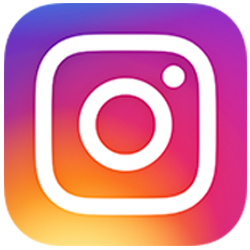 For more information, follow them on social media below! 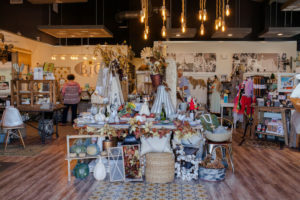 Posted in Professional Services, Retail	| Tagged Employee Management, Employee Scheduling, Mobile POS	| Comments Off on SalesVu POS system and Employee management are the key features for Camp Bow Wow! 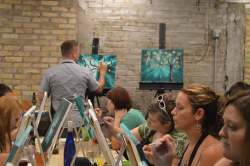 Located in Delafield and Madison, WI., PaintBar is a fun and great establishment to explore your artistic side. 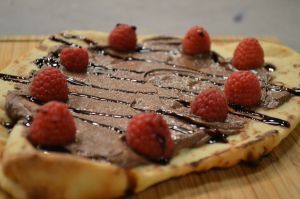 You can paint and freestyle on canvas, take art classes and enjoy a variety of delicious flat-bread pizzas, beers and drinks! John Salituro started his business using PayPal, an easy solution to accept payments. He decided to take the next step and switch to an all in one business management solution and went with SalesVu simply because it offers everything that they need to administrate their business. There’s no need to have an external company for reservations, gift cards or any modules. SalesVu is a one-stop shop! The reservation feature with SalesVu is very easy to use. 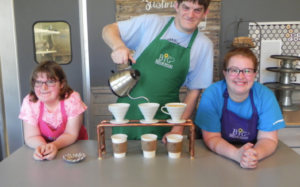 From the customer’s perspective, all they have to do is go to their website and book a table for them to work, they select the best date, party size and choose the time available. At the end of their booking experience, they will get a confirmation via email and text. 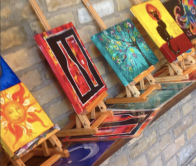 With SalesVu, you can actually receive or check in the customer, and the table will remain as an ‘open tab’ for them to start ordering food and drinks and mainly have a good time while painting and expressing themselves. Besides the email and text confirmations, the software is also capable of sending up to two reminders and the messages are totally customizable! “With the Employee management module is easy to create schedules and email them. With the calendar sync my team always have their shifts on their phones, it’s amazing! They really like the time off and shift trade request, is really simple to use and the process is smooth” – John Salituro. The employee module has been really helpful for John. Since he has two locations, he can give permissions or access to a store level. Scheduling and Payroll works the same way, per location, and the process of pulling these reports is extremely easy and non-time consuming. Managing one location is not an easy task, with SalesVu, John is able to keep an eye on both stores from anywhere. EAT. DRINK. PAINT! is the essence of this amazing place. Next time you’re in town and feel like exploring your artistic side, don’t hesitate and visit them! 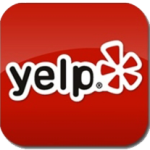 You’ll be amazed by the excellent service, food, drinks and the amount of fun that you will have with their friendly staff. 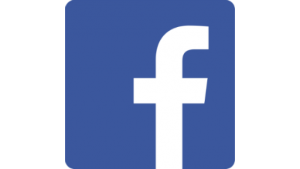 Be sure to follow them on Facebook and Twitter below!